Events have been taking place at The Old Courthouse in Shap to celebrate work carried out to improve accessibility to the building. In mid-March there was an entertaining evening of music and the spoken word with the ‘Beyond the Beacon Band’, Juliet Fossey and Dawn Hurton who created the BYTB puppets, some of which were on display. An Open Afternoon was well attended by members of the community, many of whom had attended school there. 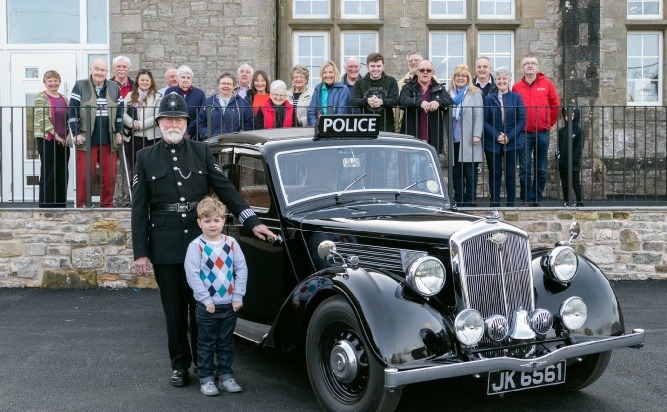 The guest speaker was David Plant who was a police officer at Shap from 1968 to 1978 and remembered the building being used as a magistrates court. There was an interesting collection of photographs and memorabilia relating to the history of the building on display. The building, situated at the heart of the community, originally opened as Shap Girls and Infants School in 1881. It was Shap Modern School from 1956 to 1963 providing education for secondary age pupils from Shap and a large surrounding area. It was used as a Magistrates Court from 1963 to 1987 and following that provided a home to Shap Youth Club and Shap Playgroup. 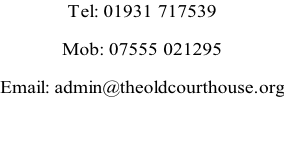 In 2001 the Cumbria County Library Service relocated to the building from The Market Cross in Shap. The building was transferred in 2015 by Cumbria County Council to Shap Community CIO, a charity set up by a group of residents to retain the building and ensure the continuation of services in the community. It was renamed ‘The Old Courthouse’. The building is now a Community Centre, accommodating the Library Link and Playgroup, providing a Reception/Drop-in facility and facilitating social interest groups to improve health and well bring and help combat rural isolation. 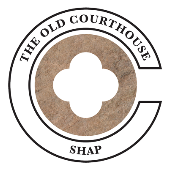 The Old Courthouse is also a designated Visitor Information Point with a variety of exhibitions and displays being staged throughout the year in the ‘Exhibit A’ Gallery to promote the heritage and culture of Shap and the surrounding area. A spokesperson said “It has been hard work securing the £115,000 we required to cover the costs for this latest project which has included lowering a floor inside the building, creating an outdoor terrace and adding a new entrance porch to make the building accessible throughout. We are grateful to funders; LEADER Fells and Dales, Cumbria Community Foundation (Holehird Trust), Eden District Community Fund, Foyle Foundation, Frieda Scott Charitable Trust, Hadfield Trust, Shap Community Enterprise, Yorkshire Dales National Park Sustainable Development Fund and extremely appreciative to Hanson who provided materials for the forecourt work.